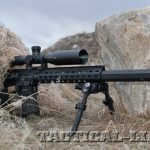 Piston-driven 7.62mm precision rifle bred for silent, 400-yard counterstrikes! Heckler & Koch has teamed up with Operators Suppressor Systems to make integrally suppressed MR556A1 and MR762A1 rifles for covert operators. In the upcoming June 2014 issue of SPECIAL WEAPONS FOR MILITARY & POLICE, author David Bahde puts a new HK MR762A1-SD to the test. 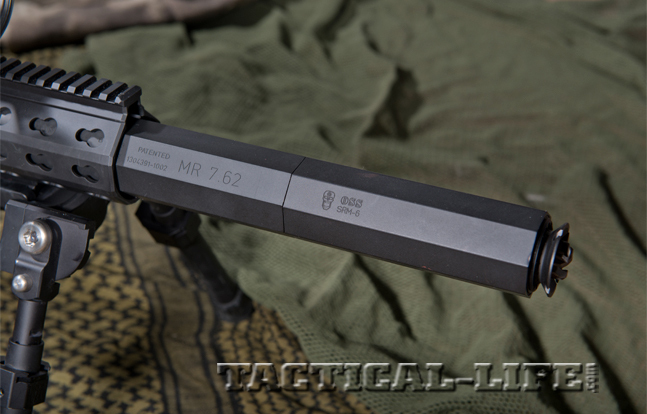 Bahde writes, “The new MR762A1-SD is designed to accommodate a suppressor system from Operators Suppressor Systems (OSS), and a new forend has been added. HK’s 14.7-inch Modular Rail System (MRS) handguard has an octagonal shape that is designed to match that of the OSS suppressor. The handguard is held in place with new SW11-type screws, which facilitate easy removal, and KeyMod slots line seven of the eight handguard surfaces for adding lights, lasers and other accessories. 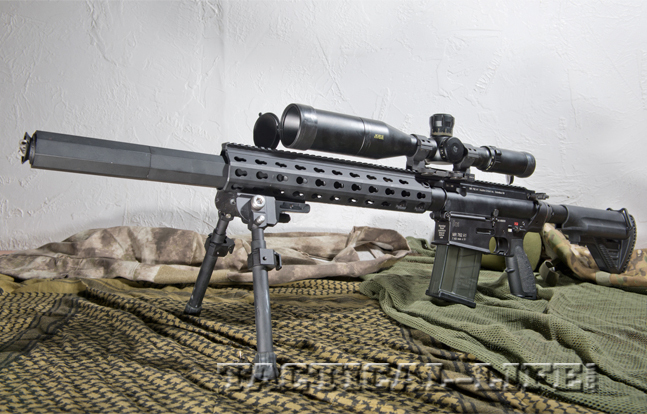 A continuous top rail supports scopes, sights and other aiming or night-vision devices. Two integrated QD sling attachment points are built into the rail just in front of the receiver. Oriented towards the top, they accommodate tactical slings correctly. 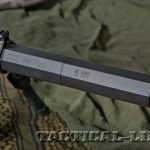 “Rather than baffles, the OSS suppressor utilizes a coil design that can be matched to any caliber or rifle’s characteristics. 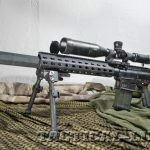 It’s also easy to break down for cleaning and maintenance, and it runs at about half the temperature of standard suppressors and cools much more quickly. 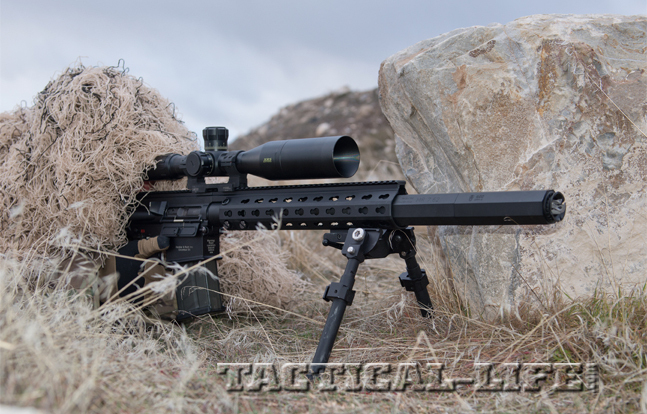 It eliminates first-round flash, something no other suppressor is capable of doing to date. Standard versions are available, but the units made for the HK SD rifles are purpose-built for them. 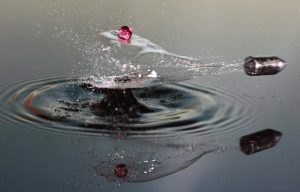 Dutch photographer Alexander Augusteijn puts breaks on bullet travel with high-speed photos.